This is a well made sturdy bicycle that comes with ultra strong lightweight Chromoly frame and a fork that would absorb road vibrations. And also you get a good quality Shimano- 8 speed gear-set. 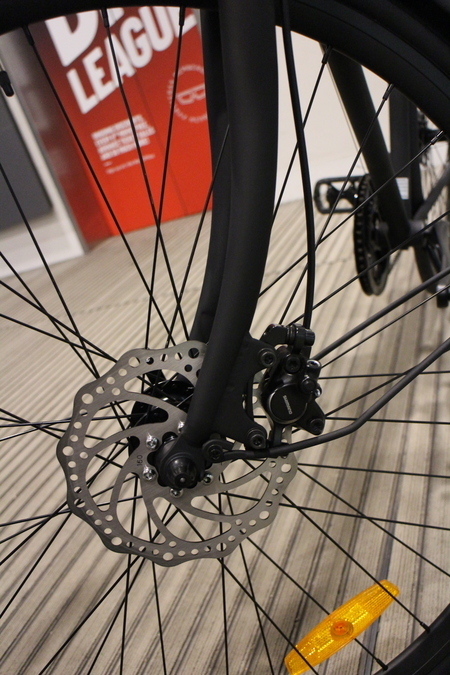 Plus Shimano hydraulic disc brakes for supper fast effective braking. Most of the parts are made with light weight alloy. This is low maintenance bike. The bicycle has latest in Kenda Puncture Resistant road tyres and tubes. Well made parts. plus with the warranty, you are in good hands. Never fear when i am free is here. 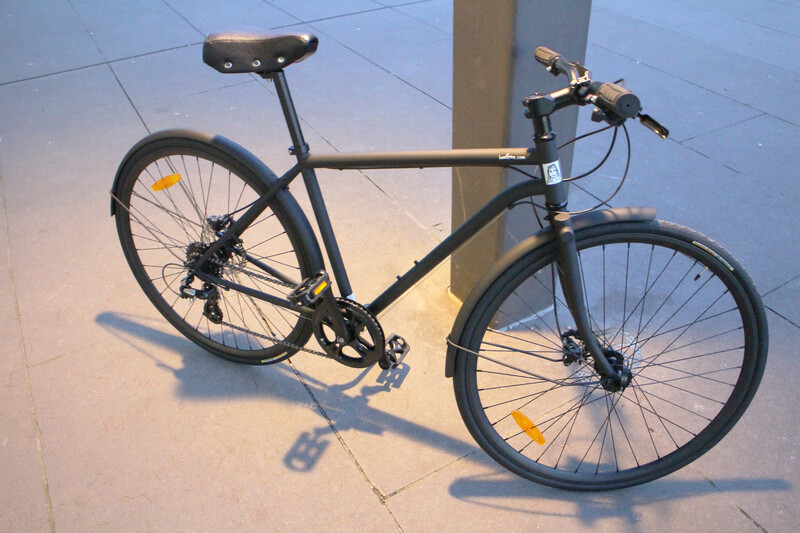 Personally think this is a well made, stylish bike and a steal for its price. 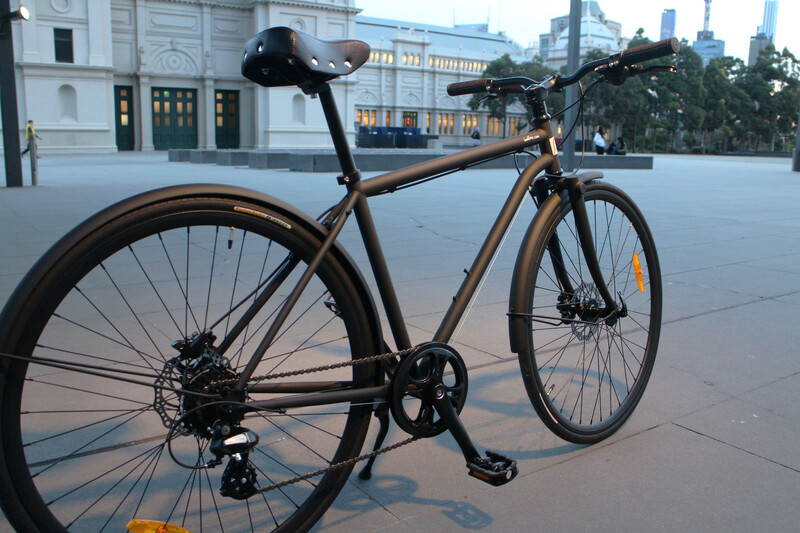 It is that as a company during growth stages it is important to offer a quality bicycle at a economical price rather than think too much about the profits. 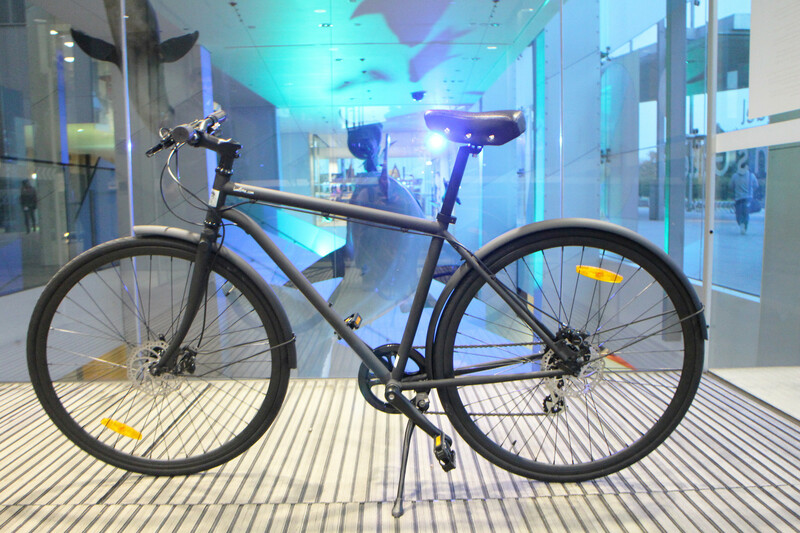 This bike is offered direct from the factory to i am free bicycles then to you. So we don't have a single middleman to pay for. Please feel free to come and test ride and would be very happy to offer that. It has a very custom designed fork. It is super strong and sturdy. Shimano Hydraulic Disc brakes. Yes, they are Shimano and Hydraulic and went beyond my limits to get Shimano brakes installed and offer for that price. They are very good in quality, responsive also durable. Model M315 (Altus) and braking power is the similar to Shimano BR-M355. These brakes are very responsive in rain, really low maintenance. They automatically adjust the pads as you ride as well as pads wear over time. 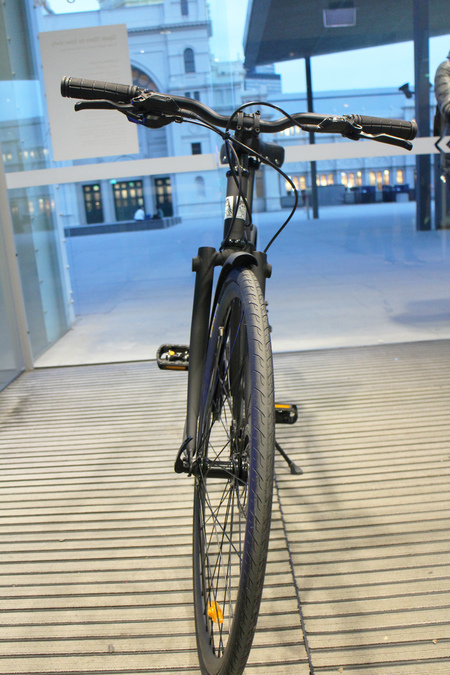 Cable runs with mineral disc brake oil and has three finger lever. You can lever the brakes with a single finger if you want as they are that responsive. Cassette, Shimano CS HG200 (Hyper Glide). 12T 32T. This gear ratio is an excellent range of gears for day to day city riding, fast or moderate hill climbing. Prowheel Crankset (Chain-set/Chain-wheel) is 44T with a 170mm arms. Also comes with a chain-guide. Tyres 700C x 28C, Kenda (inflatable up to 85 PSI). Tyres comes with Puncture Resistant internal kevlar belt so less hassles when it comes to punctures and tires being cut by glass. These tyres has street hugging semi slick tread pattern so this is ideal for road riding and bike paths.. 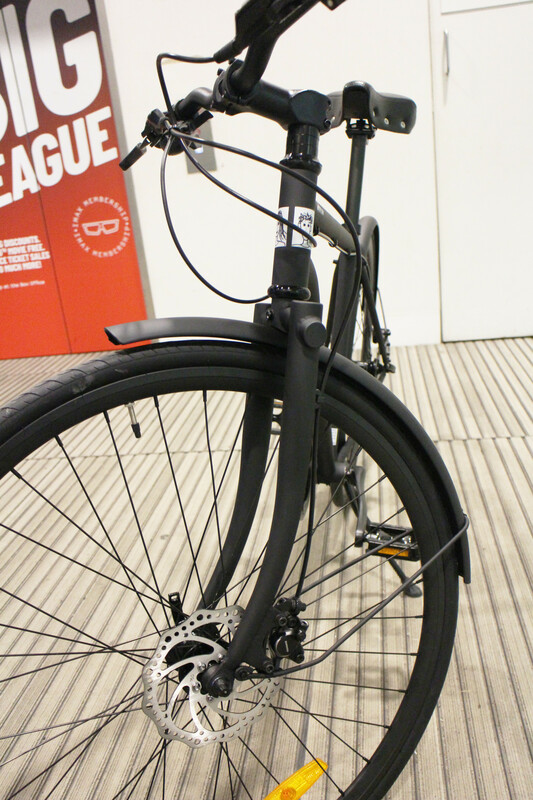 Plastic mudguards - with fully adjustable and bendable mudguard stayers. These mudguards are super light weight. Very well understand that you like to be treated with respect and gratitude for purchasing a bike from this humble workshop. Saying that if there is a mechanical failure you would be covered under a 1 year warranty. This includes gear system, brakes as such. Other consumable items such as tyres, tubes, brake pads are not covered under this warranty. The frame is under 2 1/2 years warranty. Also other than the above warranty you are covered under consumer guarantee rights under Australian consumer law. Would honour youe rights fully.